T + H Gallery is pleased to announce “Typology Morphology”, a group exhibition highlighting digital media produced at the Institute of Electronic Arts, established in 1997. 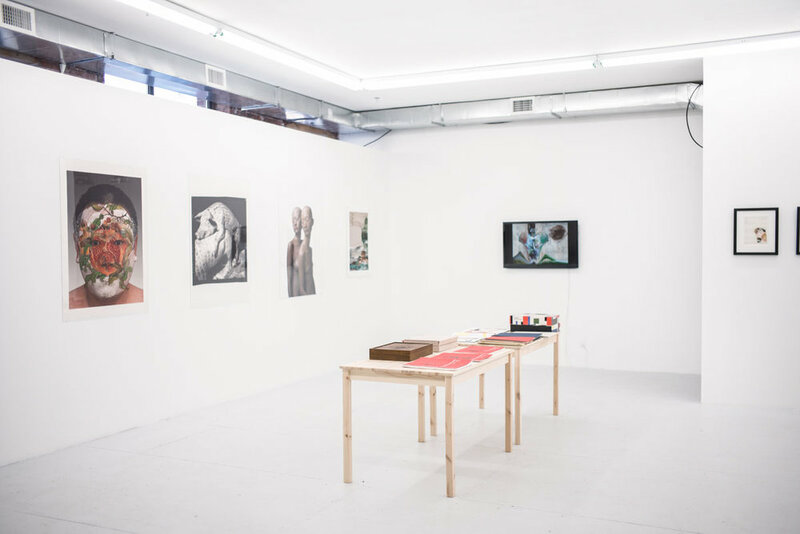 The show includes the work of 21 artists: Cory Arcangel, Brandon Ballengée, Peer Bode, Robert Brinker, Xu Bing, Diana Cooper, Andrew Deutsch, Matilda Essig, Ann Hamilton, Oliver Herring, Ralph Hocking, Pamela Joseph, Xiang Jing, Luftwerk, Thane Lund, Yao Lu, Chi Peng, Sondra Perry, Emil Schult, Kiki Smith, and Huang Yan. The Institute for Electronic Arts is a high technology research studio facility within the School of Art and Design at Alfred University-New York. The IEA encourages and supports projects that involve interactive multimedia systems, experimental sonic/video production, digital imaging, and publications. The IEA is committed to developing cultural interactions spurred by technological experimentation and artistic investigation. The exhibition showcases IEA’s dedication to integrating electronic media with the fine arts. At IEA artists are welcomed by various technology; these many outputs and inputs, digital and machine systems ranging from delicate to robust, are not exactly tidy or streamlined, creating a wandering space teeming with possibility. A sense of chance and a manner of likelihood arises from being with these real things; these materials move with the artist in new questions of what will they try next and where will it then lead them. Objects are not limited to set borders - they are also dynamic including digital, analog, chemical, time and process media. Many of the artworks featured in the exhibition Typology Morphology, coming out of IEA’s hard-software, output and input peripherals, likely arrive at meaning by way of process and possibility. This meaning lends itself to being more conditionally open and complex, at play and around us, in stages of being and becoming and possibly more outside ourselves than we used to expect.